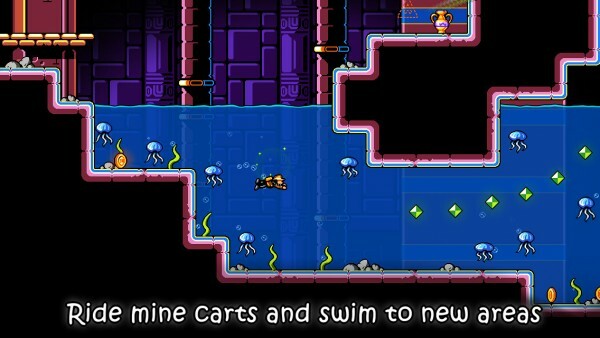 Traps n' Gemstones ($2.99) by Donut Games is a challenging adventure platform game that will appeal to all “Metroidvania” fans. 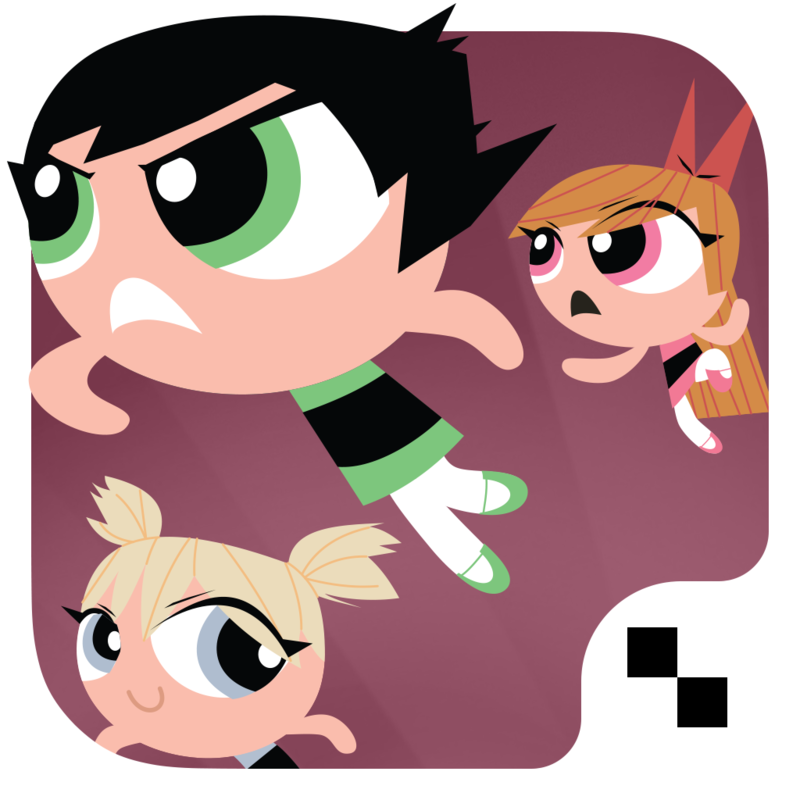 If you enjoyed titles like Powerpuff Girls: Defenders of Townsville and Badland, then you will love what Traps n’ Gemstones has to offer. 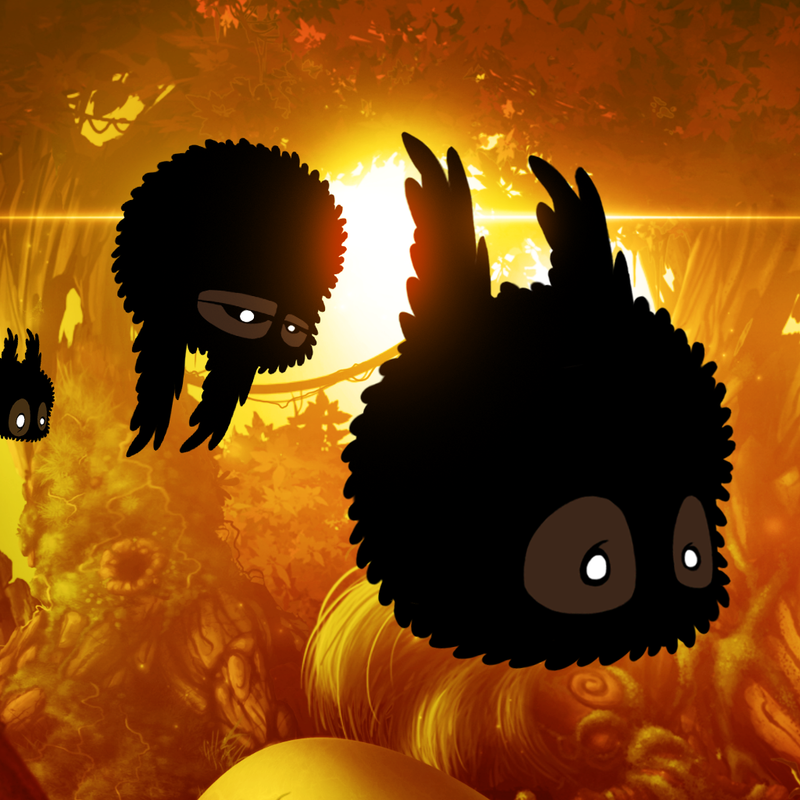 Is there anything better than sitting down with a grand adventure platformer game? The answer to that is no. I remember I spent countless hours on Castlevania games on my handhelds a few years ago, and they were some of my favorite games. When I heard that Donut Games was coming out with a new Metroidvania-style game last week, I was excited to check it out. Now that I have my hands on it, I can state that it doesn’t disappoint. If you’re a fan of these games, then this is a must-have. 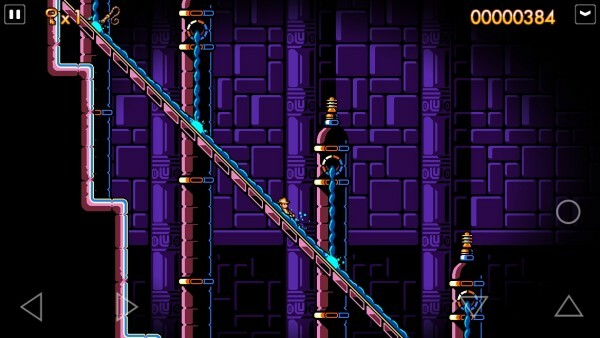 The graphics in Traps n’ Gemstones is beautifully stunning. 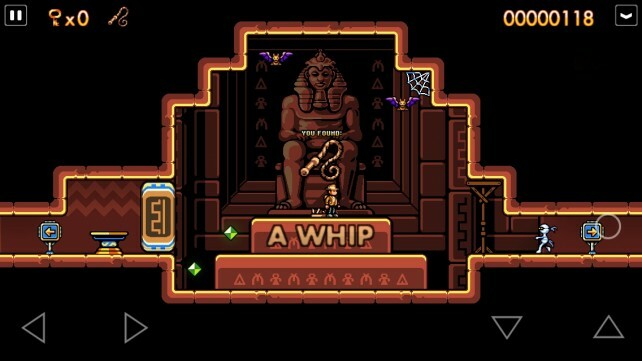 It features gorgeous 16-bit visuals that are colorful, vibrant, and rich in details. 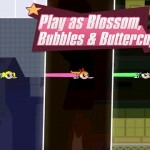 If you have played classic Metroidvania games in the past, then you will love the homage that Donut Games has going on here. Each area is lovingly hand crafted by the developers, so you can really see the thought and work put into it while you play. The animations are buttery smooth and fluid, as I experienced no lag on my iPhone 5s. 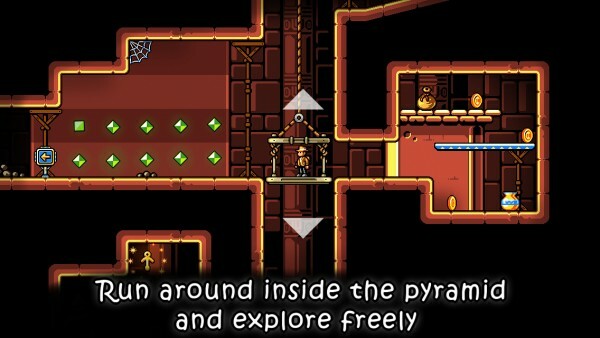 The adventurous soundtrack is sure to get you in the mood to explore the ancient depths of a pyramid, and the real-time sound spatialization adds a layer of realism. 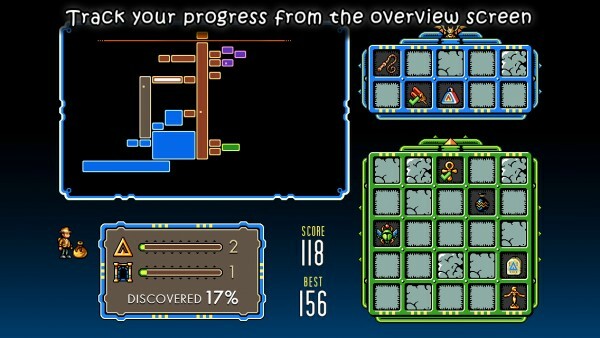 Like the typical adventure platformer style, there are no levels to go through in Traps n’ Gemstones. Instead, you start from the beginning of the pyramid, and freely explore your surroundings. Of course, you’ll find yourself stuck at some points, at which you will need to backtrack and figure out what item you need in order to advance. 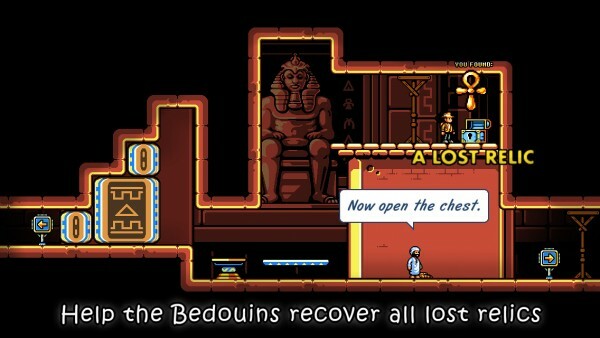 The game’s plot is easy enough: a perpetrator has gotten into the ancient pyramid and has taken relics from the Bedouin family. Now it’s up to you, a freelance archaeologist and ancient exploration expert, to recover the relics and solve the mystery of who’s behind it all. 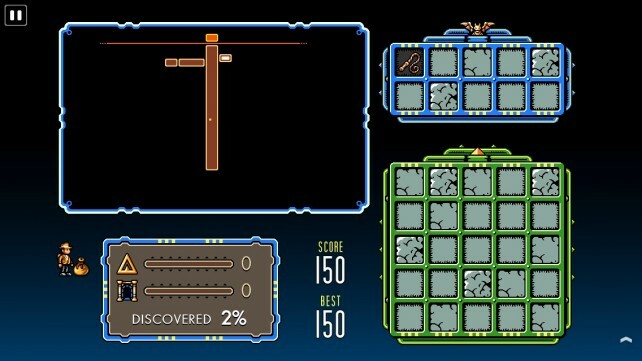 Traps n’ Gemstones is based on a point system — you earn them as you collect gems, coins, and defeat foes. 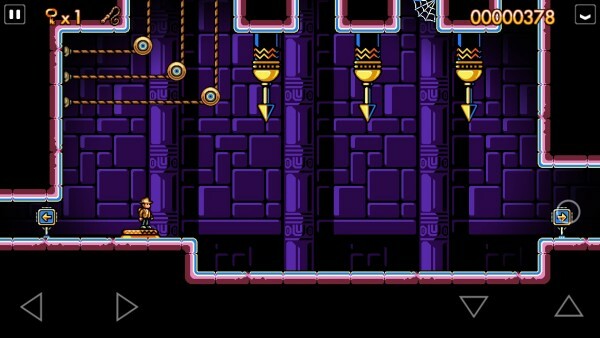 However, if you die or fall, your score is reset to zero, but you start again from the beginning of that chamber, rather than the pyramid entrance. 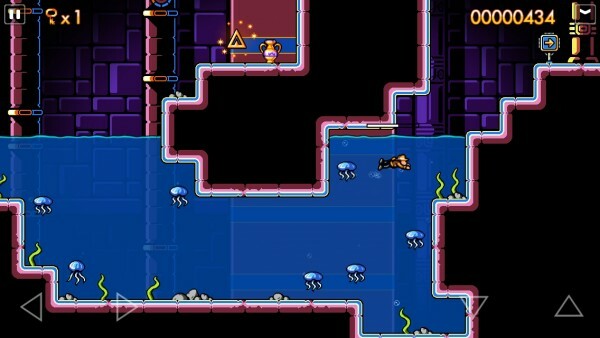 It’s like a soft-roguelike, in a way — you’re penalized for mistakes, but the punishment isn’t too harsh. As you go through the castle, you will find crates, locked chests, and other objects that you can interact with when you stand in front of it. As you explore new rooms and get new items, you can keep track of your progress by tapping on the button in the top right corner. This brings down a screen that reveals a map of the pyramid with your location highlighted, and you can see how much you’ve explored. There is also a grid that displays the weapons and items that you have found and used so far, as well as lost relics that you’ve recovered. The controls in Traps n’ Gemstones are straightforward enough, though I do think it could get optimized further. In the bottom left you have the buttons for moving left and right, and the bottom right will have buttons for going up and down elevators, rolling, and jumping. 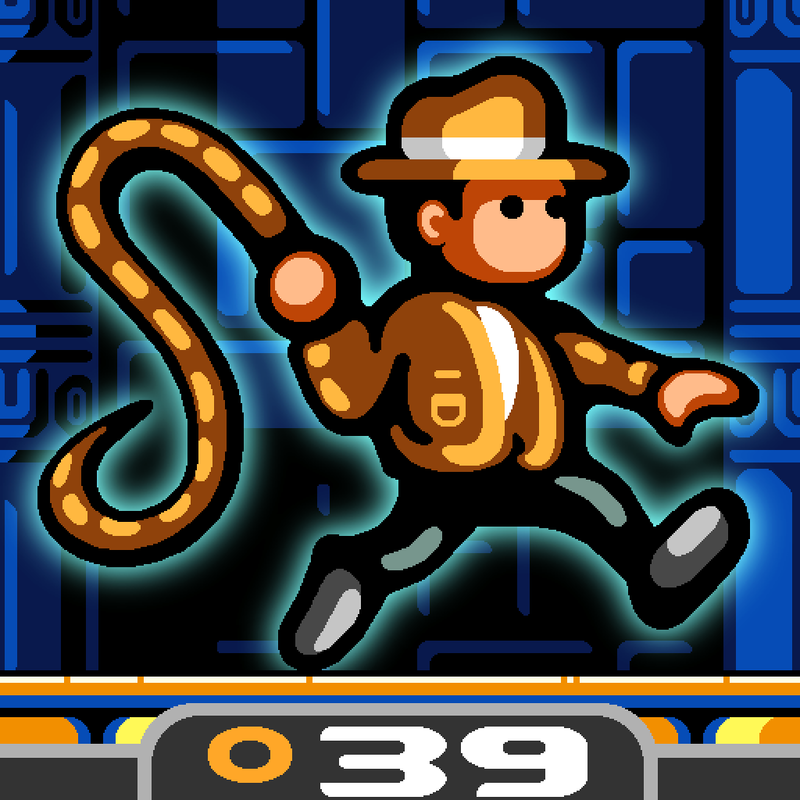 Once you find the whip, you can attack with the action button that is above the jump button. If you come across an obstacle that requires you to use an item in your inventory, a large button pops up in the middle of the screen and you can tap on it to use the proper item for the situation. These controls work well enough, but sometimes I found the placement to be a little weird. I often found myself tapping on the wrong buttons because of how they’re spaced out — as if there was too much space between them at times. I wish that you were able to customize the controls to your own preferences, like you can in Mikey Shorts and Mikey Hooks. I hope that Donut Games can consider this for the future, but in the meantime, the controls may take a bit of getting used to before you master them. Since Traps n’ Gemstones is points-based, it’s something you want to compete with your other Metroidvania-loving friends. 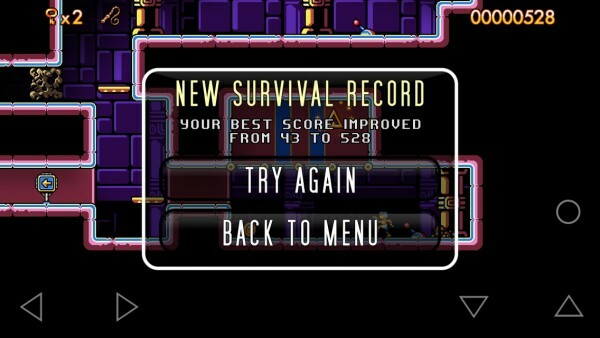 Fortunately, there is full Game Center integration with leaderboards, and there are 26 achievements to acquire. The replay value is definitely high in this game. Aside from my quip with the controls, Traps n’ Gemstones is perfect. The visuals are a delightful throwback to the classic games, the music is captivating, the dynamic sound effects are great, and the non-linear gameplay itself is challenging and fun. 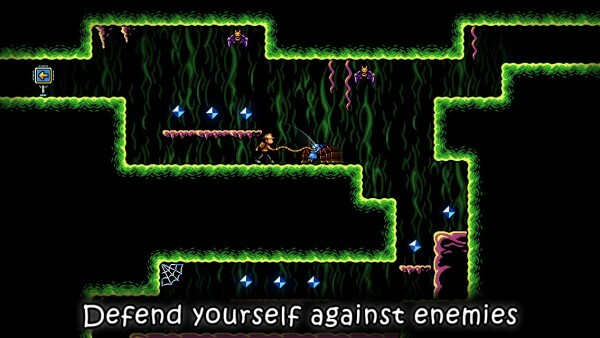 This is a must-have for any Metroidvania fans out there, and I highly recommend checking it out if you haven’t already. 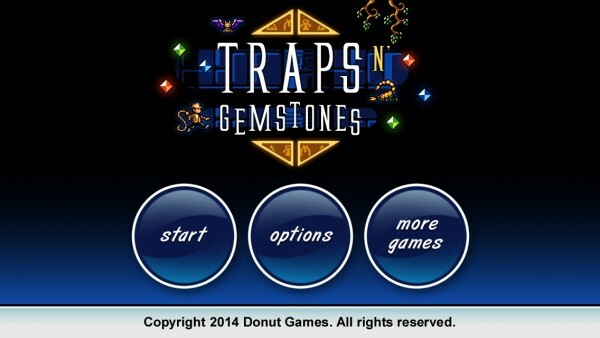 Traps n’ Gemstones is a universal download on the App Store for $2.99.